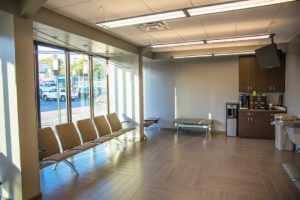 Our 24 hour pet hospital is located in West Midtown and serves the Atlanta metro area and many south Georgia communities. Specialty Care: Our veterinary specialists work directly with your primary care vet to understand your pet’s condition and develop the appropriate treatment plan. Visits to specialists at our animal clinic are usually by referral from your primary care vet and by appointment. Learn more about veterinary specialists. 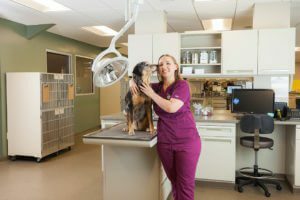 Our 24 hour emergency vet hospital opened in 2016 in the heart of bustling Midtown with quick access to GA State Road 400 and interstates 75 and 85. Our highly trained veterinarians use advanced equipment to diagnose and heal your pets. This includes a CT scanner for diagnostic imaging and specialized machines for use in cataract surgery for dogs and cats. With seven exam rooms and two surgical suites, we are a fully equipped 24 hour vet in Westside.